It’s not the first time we’ve heard that Apple may be looking at introducing a budget iPhone, but it is the first time we’ve heard that Apple may be looking at making the screens even bigger, with suggestions that a 5.7-inch iPhone 5S may be being considered. 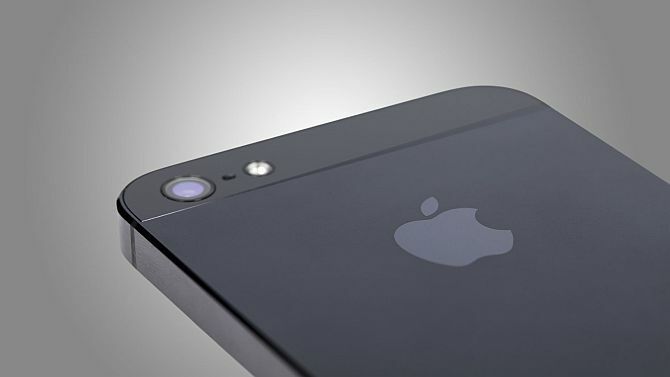 Multiple media sources have been heard claiming that screen sizes of both 4.7 and 5.7 inches are under consideration for the iPhone 5S. These alleged screen sizes would be expected to land sometime in 2014 if decided upon. However, in addition to these rumours, we’ve also heard more evidence of Apple looking at a $99 iPhone to be offered in a variety of colours. It was not long ago that evidence broke suggesting the long-rumoured iPhone 5S was in fact the budget iPhone, with the iPhone 6 (expected 2014) the next iteration of the high-end iPhone models. Conflicting reports suggest, however, that the budget iPhone will be releasedALONGSIDE the iPhone 5S – confirming exactly what everything is thinking right now – noone really knows! The next high-end iPhone, whether that be the iPhone 5S or iPhone 6, is said to have a finger-print scanner built into the home button, whilst the budget iPhone will be made of a plastic casing and will be offered in a variety of different colours. Furthermore, sources say that Foxconn have been recruited to assemble the iPhone 5S, with Pegatron taking on the budget iPhone. As far as the increase in screen size goes, Tim Cook said earlier this year that Apple would not consider releasing a device with a larger screen due to tradeoffs in image quality and issues with battery life. Have they overcome these concerns? A 5.7-inch iPhone 5S would sit right in between the iPod Touch and iPad Mini, but is 5.7-inch too big? Why did Apple not decide to go bigger than 4-inch when they announced the iPhone 5? They spent a long time convincing us why 4-inches was the ‘perfect size’, so why would they now go and change it?